Our membership platform designed to teach you how to become the video branding expert you, your business, or your clients need. For the first time ever Marley Baird has put pen to paper and given the exact video strategies and methodology she uses to grow her team, explode her revenue and build her agency. This course will define the way Video Marketing and Thought Leadership is thought of throughout the world. Interested? Get the massively discounted beta rate AND have access directly to Marley Baird during live training calls BEFORE the course launches! Canva can bring your graphics to levels you previously needed to hire an expensive designer for. But, you’ve got to know the tips and tricks to make it all happen. In this tutorial, you’ll learn from Marley Baird her favorite, tips, tricks and training to master graphic design no matter your age or prior graphics experience. 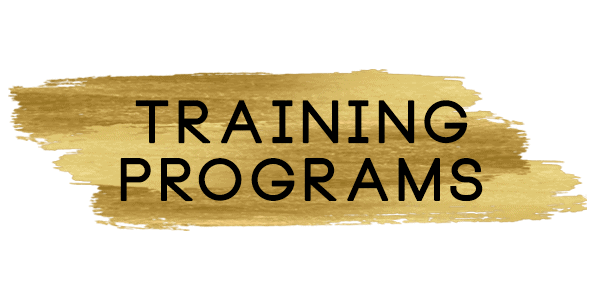 This invite-only club will mentor you step by step with Marley Baird Media and Marley Baird herself designed to help you begin your own video marketing agency and literally 10x your current revenue. Our exclusive video marketing challenge is only available twice a year. Enrollment is currently closed, but if you don’t want to miss it, join the waitlist today! 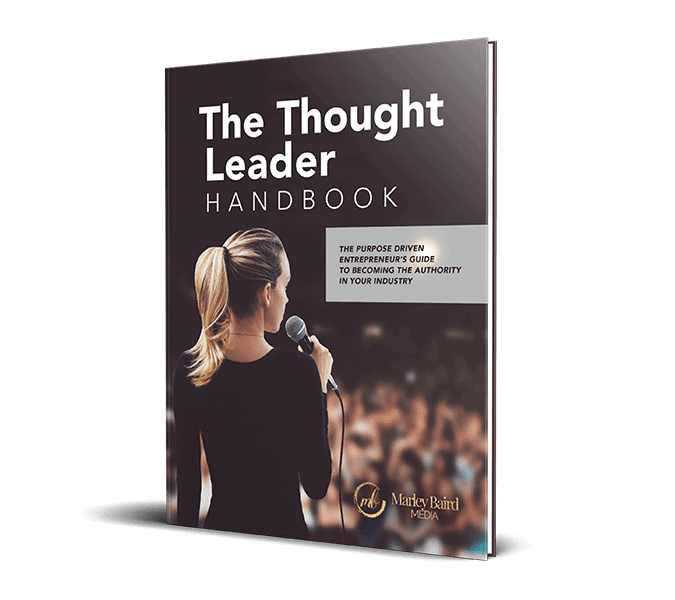 Our Thought Leader Handbook walks you through a journaling experience of understanding and applying the proven methods to unleashing your inner thought leader. Grab your copy for free today! 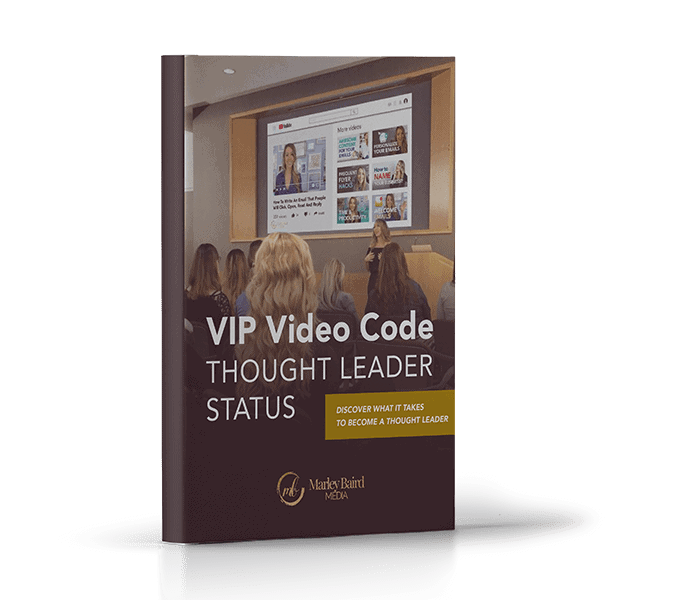 Taking our Thought Leader Handbook to the next level, Marley Baird teaches the skills necessary to apply thought leadership in a way that creates, scales, and monetizes your message. Each video teaching has action steps and downloadables to help you stay on track and implement what you’ve learned along the road. Currently available at a discounted price, our membership platforms combines courses on proven social media techniques and video marketing strategy. But hurry and lock in your price! The membership fee increases January 2019! 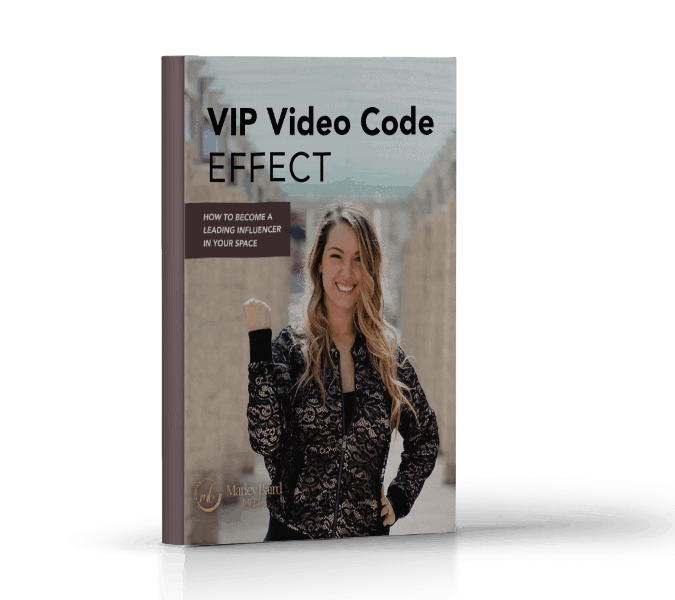 Learn the three common pitfalls you must avoid in order to truly tap into your purpose and unleash your VIP Video Code Effect. If you’re ready to be the best, know the most, and create something that people WANT to be a part of – this resource is for you! Say goodbye to content for the sake of content, status quo messaging and learn instead to connect with your audience in a way that allows them to rally around your movement. 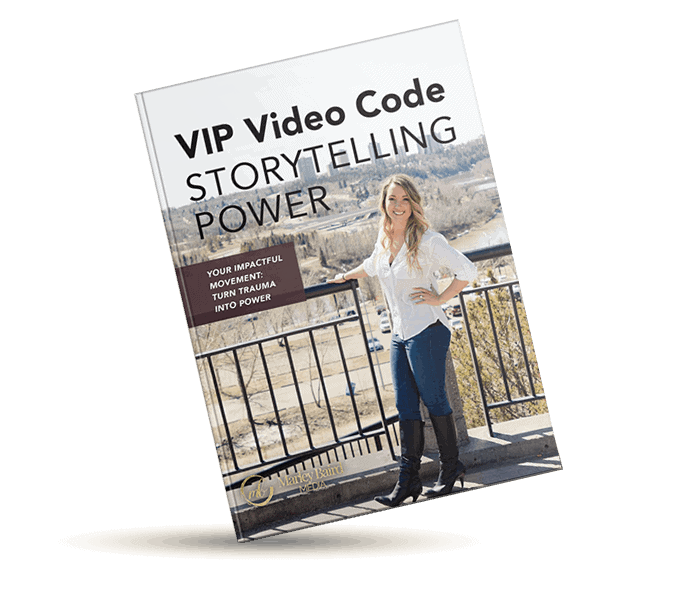 All through the use of our VIP Video Code Storytelling Power. If you’re ready to understand the three foundations of a thought leader’s story – this resource is for you! 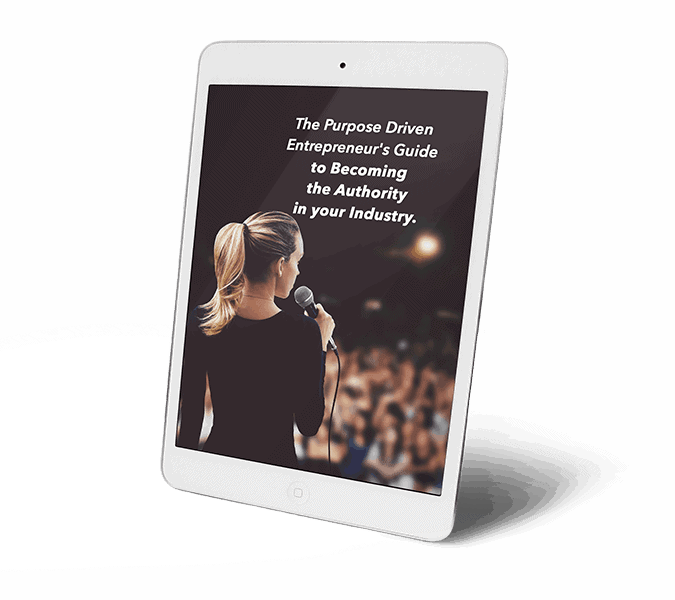 Your purposeful content in a way that drives momentum and creates more time for you to focus on moving your business forward. 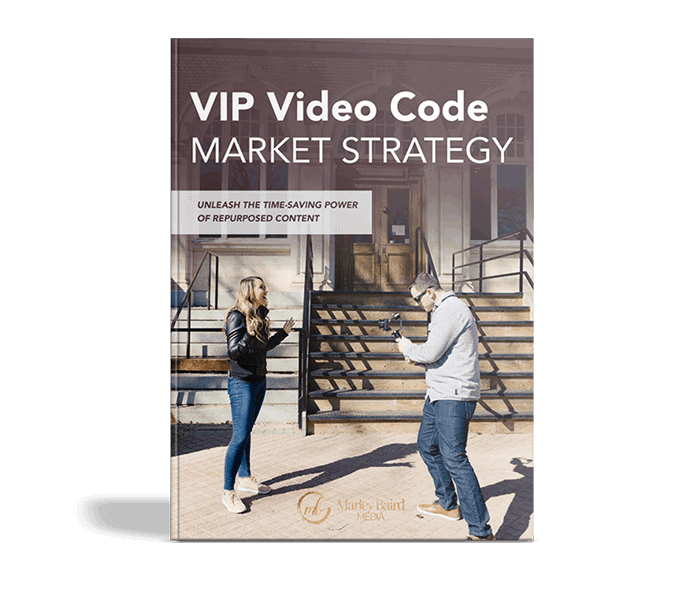 If you’re ready to engage your audience and draw them straight to the heart of your message and movement with your unique VIP Video Code – this resource is for you! As you take an inventory of your daily tactical activities, are you stuck? Do you feel overstimulated, inundated by notifications, emails, and items taking your focus from what really matters – moving your business forward? You’ll never achieve all you were meant to unless you learn to FOCUS. 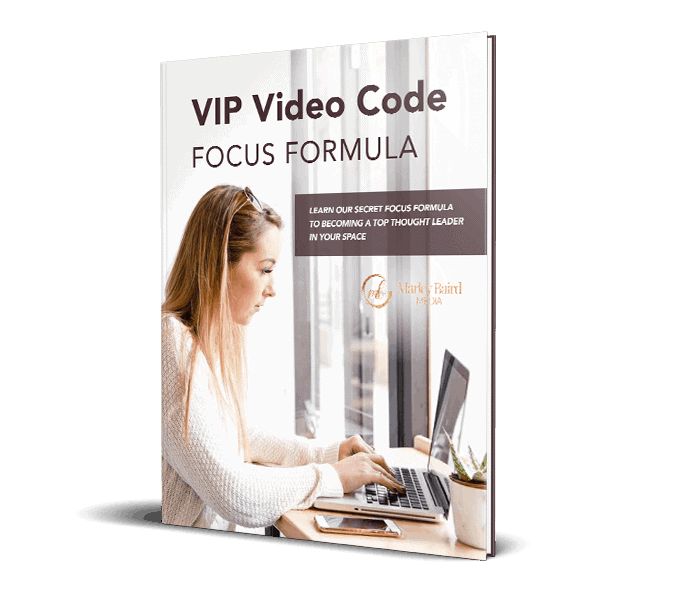 Download our free eBook and unlock the secret tool we call Focus Formula. What is a thought leader? Better yet, who’s a thought leader? By comparison, when you think of Oprah Winfrey, Nelson Mandela, or Ghandi vs. bikini model of Instagram, it becomes pretty clear. Right? If you’re ready to learn the secret to thought leaders’ success and how you can harness it to become a thought leader in your space this resources is for you! Do you struggle to create content that builds your audience on autopilot? 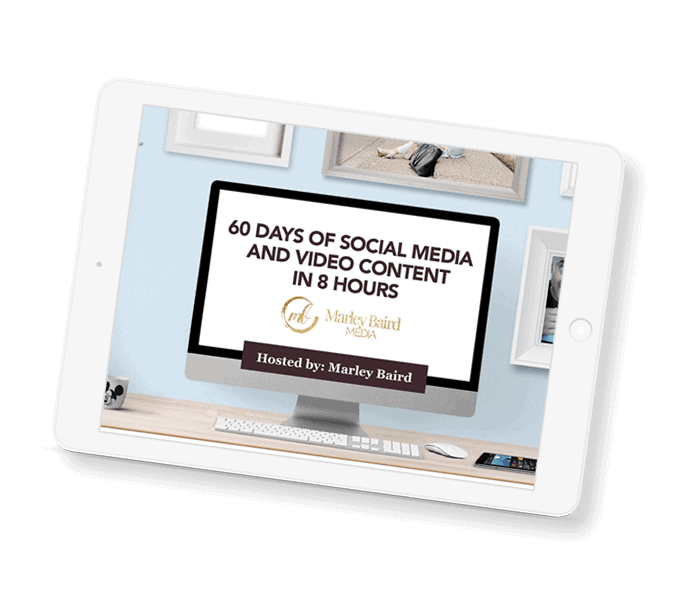 Most people never realize your content should be batched and repurposed allowing you to create 60 days of content in just 8 hours. 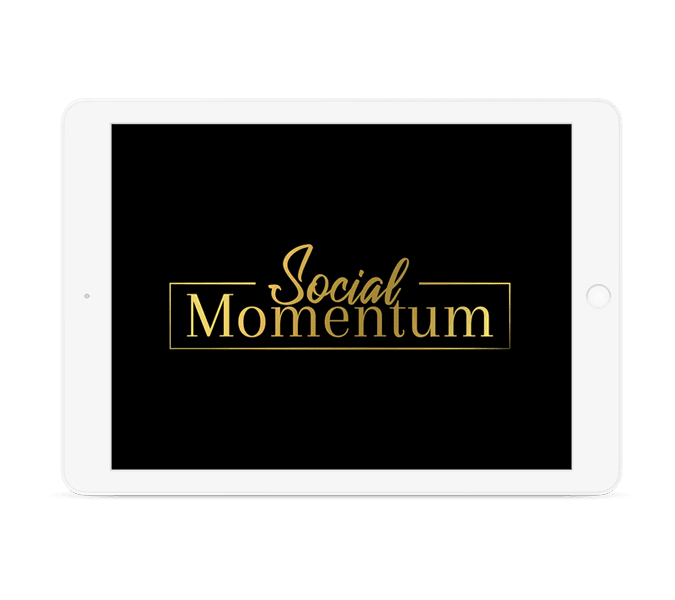 With my 10 social media content types and formulas, we are able to create video content, images, and text-based posts that captivate your audience and compel them to engage with you on Facebook, Instagram, and YouTube. To learn how to implement this within your business, register for our free masterclass.